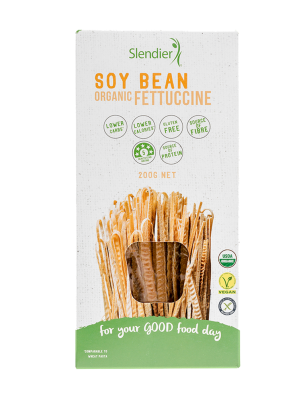 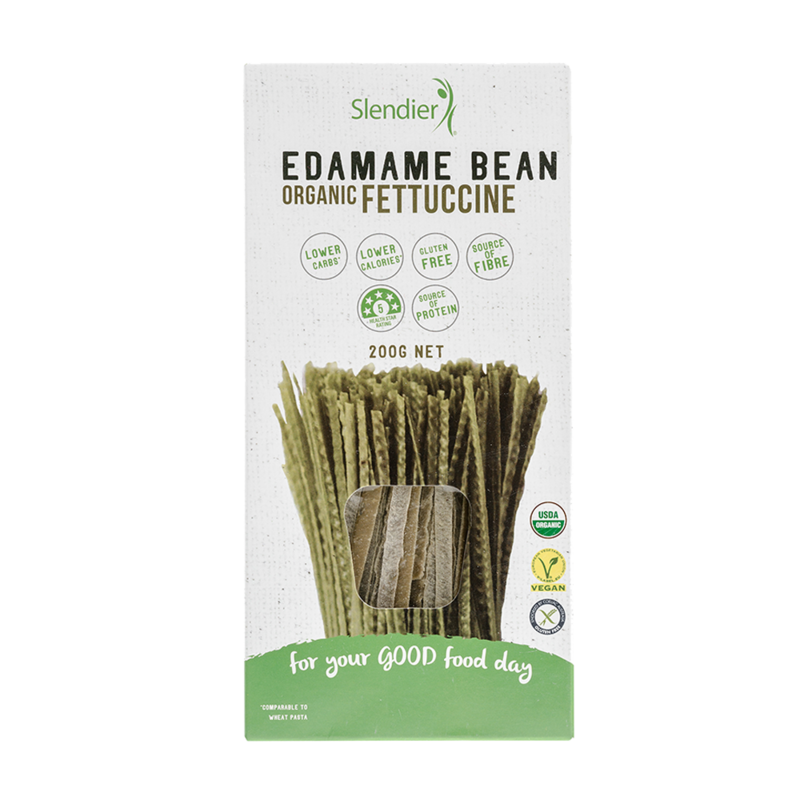 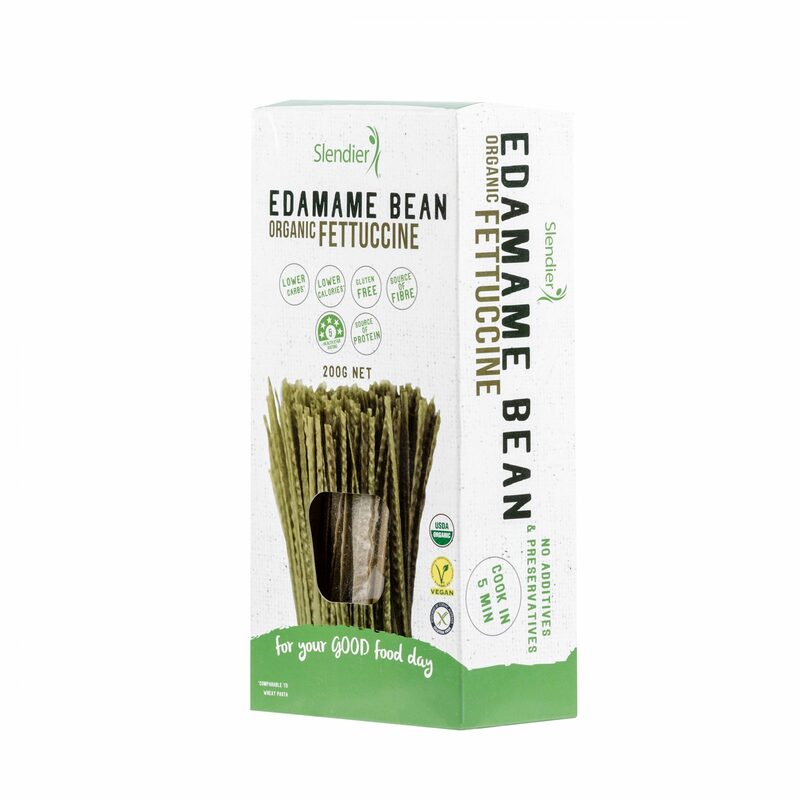 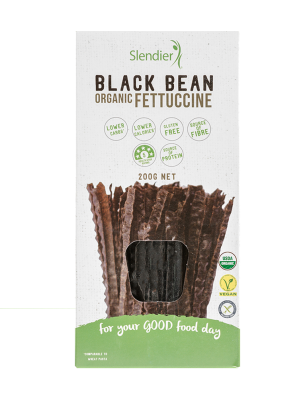 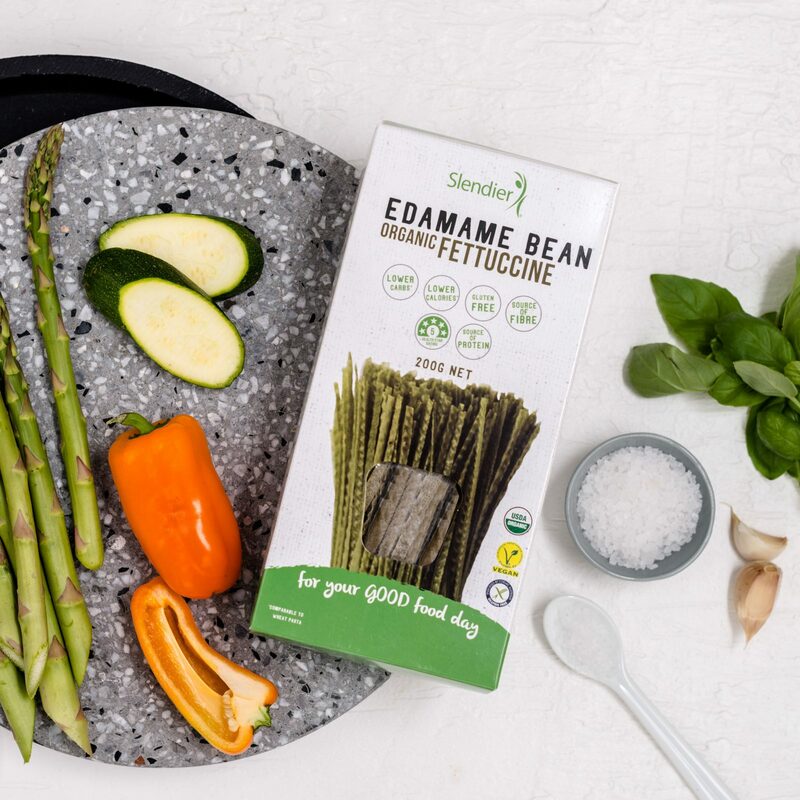 Made from organic baby soy beans, picked while they are still in their pods, these flat ribbons of fettuccine make a fabulously foundation for the most delectable dishes. They cook within minutes to ‘al dente’ perfection for a pasta dish with 25 per cent less carbs than a wheat-based fettuccine. 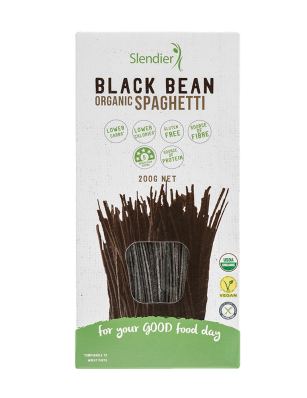 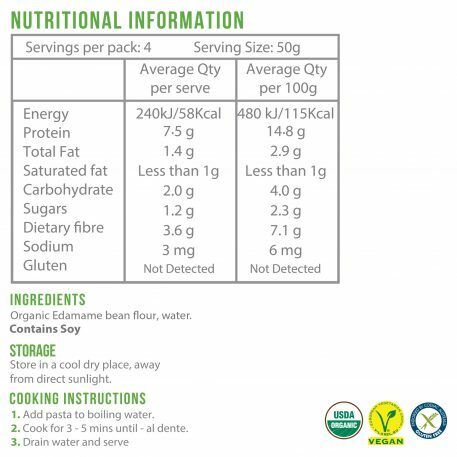 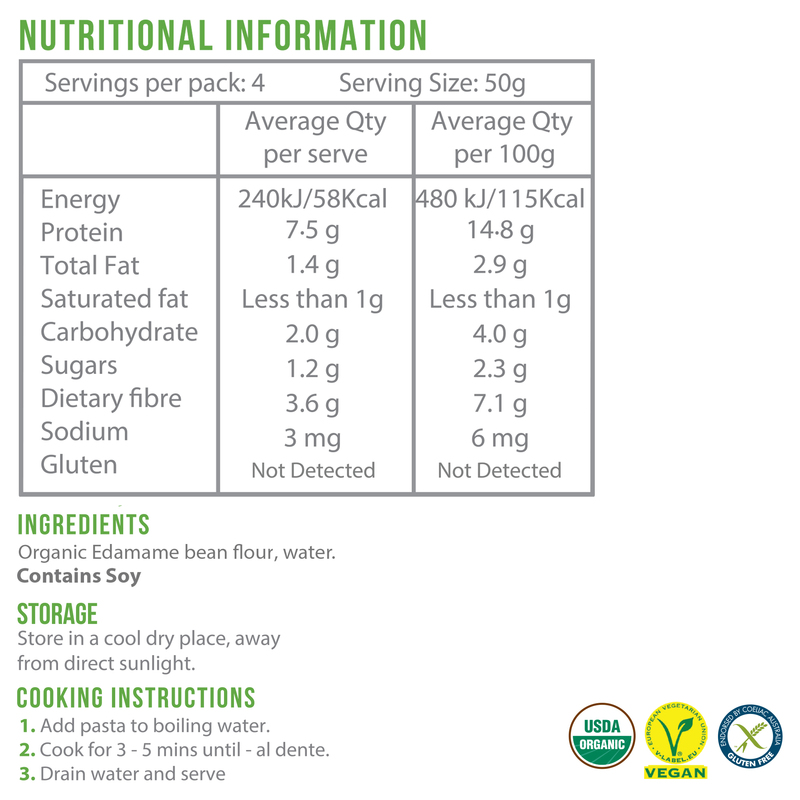 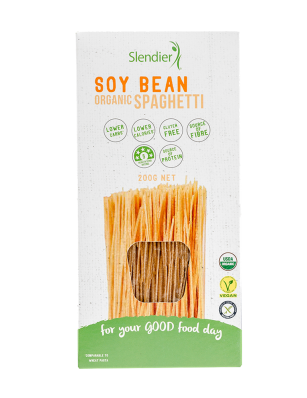 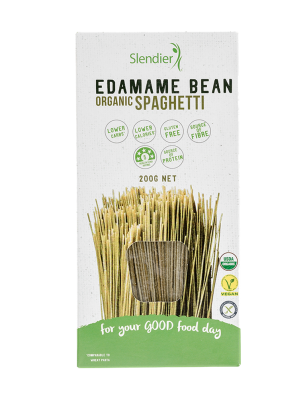 For a fast and fat-busting meal, combine with one of Slendier’s pasta sauces.